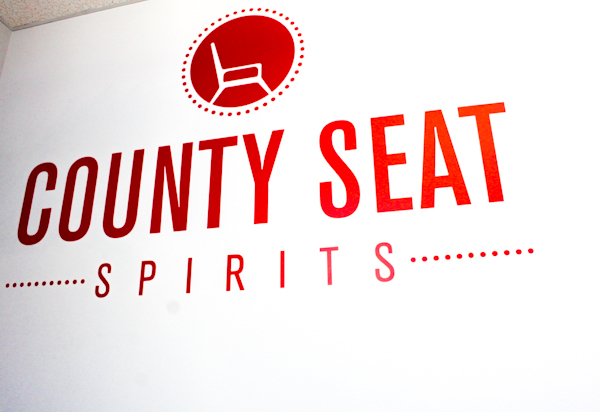 County Seat Spirits, who we first wrote about last June, officially opened their doors earlier this month. 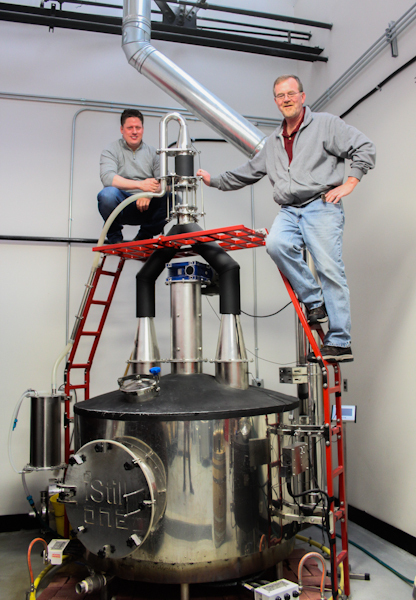 The brainchild of Anthony Brichta, a lawyer by trade and a Lehigh University graduate, and his uncle John Rowe, a retired air traffic controller from Lehigh Valley International Airport, County Seat is the first craft distillery to open in Lehigh County. 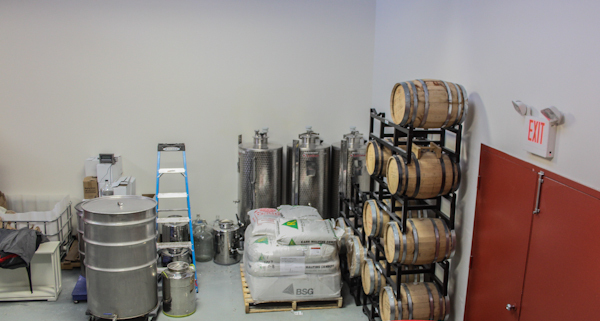 The distillery joins two other boozy ventures, The Colony Meadery and Hijinx Brewing, at the Bridgeworks Enterprise Center, a small business incubator program operated by the Allentown Economic Development Corporation at 905 Harrison Street. 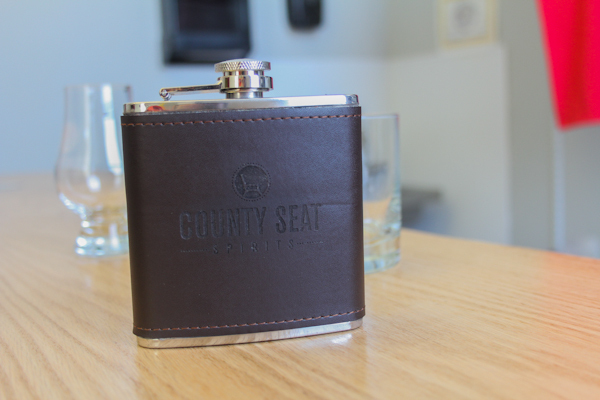 Currently they sell two liquors. 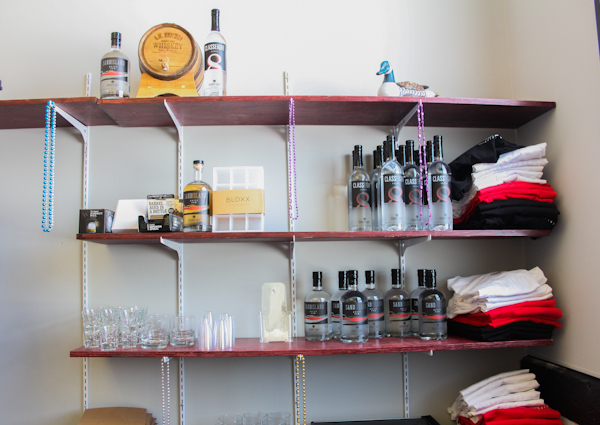 Their Class 8 Vodka, unlike many of the well-known commercial brands, has a distinct taste that hasn’t been distilled into oblivion and runs $25 a bottle. 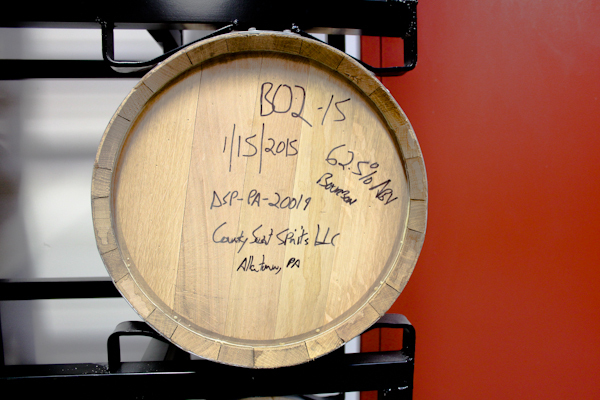 Their white Sand Island Rum, some of which they’re aging in used whiskey barrels, costs the same. 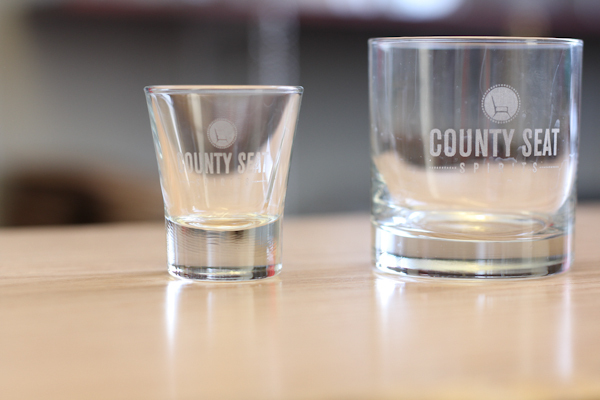 County Seat is currently capable of producing around 25,000 bottles a year. 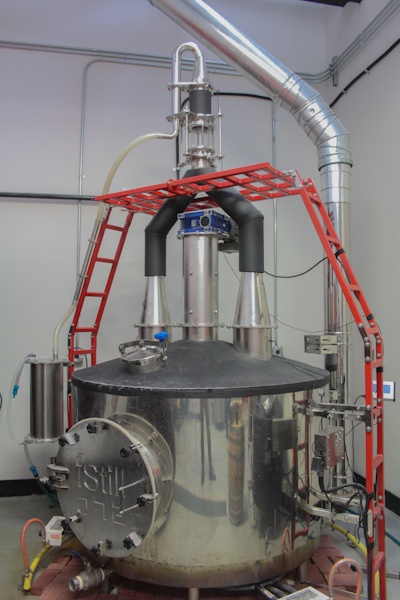 Eventually joining the line-up will be a gin and aged spirits like bourbon and rum. They’re open from 12pm to 5pm on Saturdays and 12pm to 4pm on Sundays. Eventually they’ll be adding Friday hours. 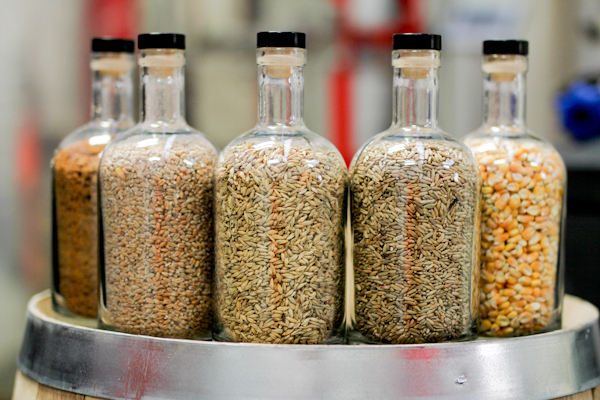 Tours and tastings are currently free of charge (but that may change once they have more products in their portfolio.) 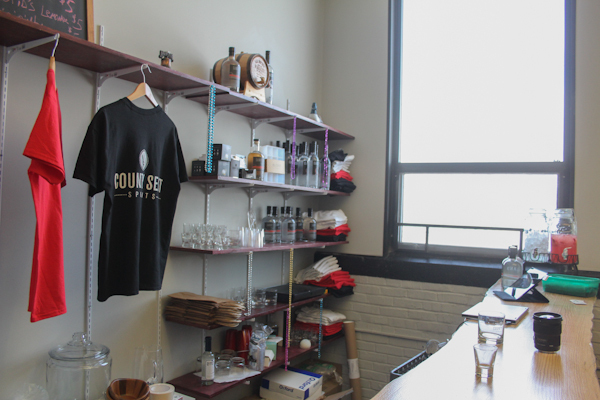 You can also grab a cocktail in their cozy tasting room, like a rum-based Caipirinha or boozy vodka lemonade. 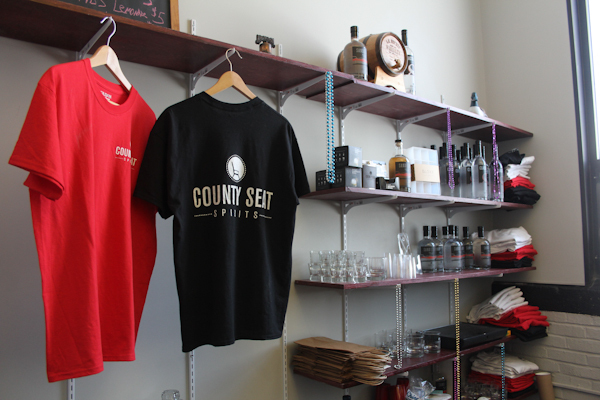 They also have a line of glassware, t-shirts, and other liquor-related products for purchase.